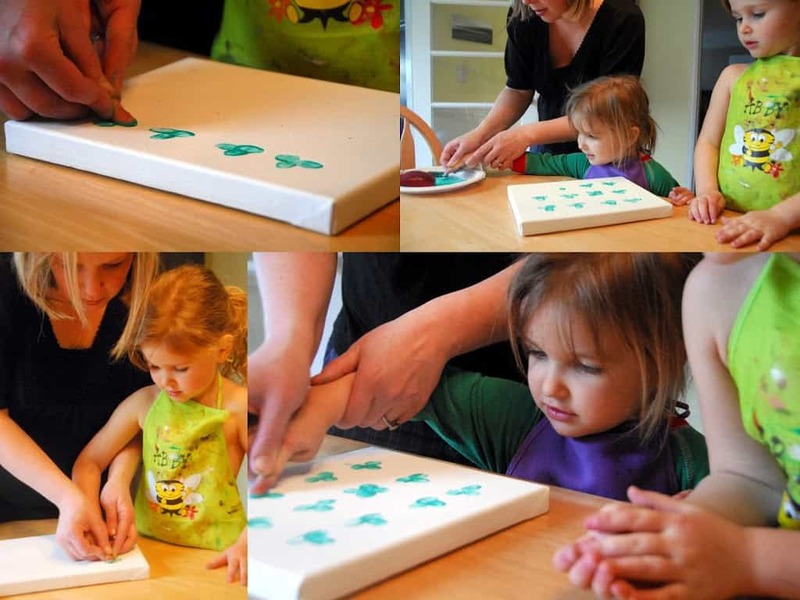 Today we did fingerprint shamrocks on a canvas with green paint. Then, they used a brush to paint on the stem. Because of my faith in God, I’m not a huge believer in luck. 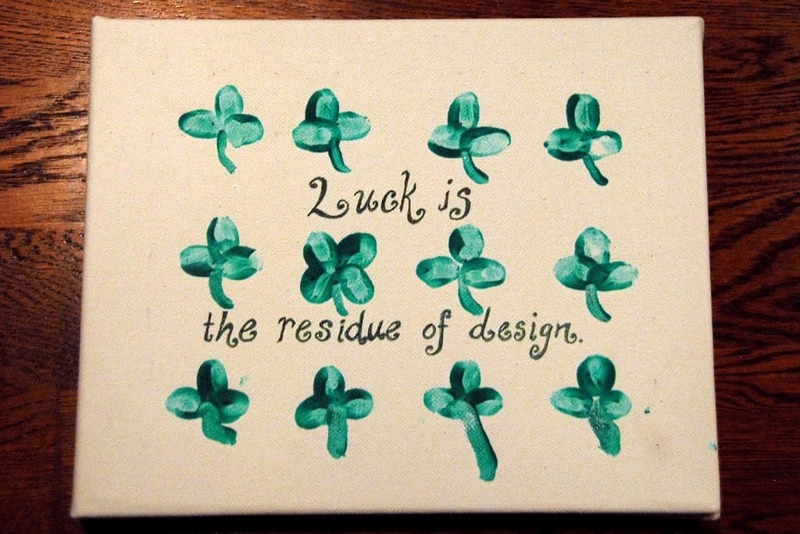 I did have the four leaf clover design that I wanted to include. So, I looked around to see if there was any quote fitting. I found this one, and I liked it so moved forward with the design. Any project including sticking your fingers in paint is a thumbs up with my kids. Very nice project! Thanks for linking up to Thinky Linky Thursday! Thanks for hosting again, Lori.